Hello, my name is Eab Muykong. I graduated with a bachelor degree in Finance & Banking at Royal University of Law And Economics in 2011. I have studied English Language at Panhasastra University of Cambodia. I am having thorough skills in handling MS Word, Excel, and Quick Books Pro and Internet Explorer which help me to do my daily work. 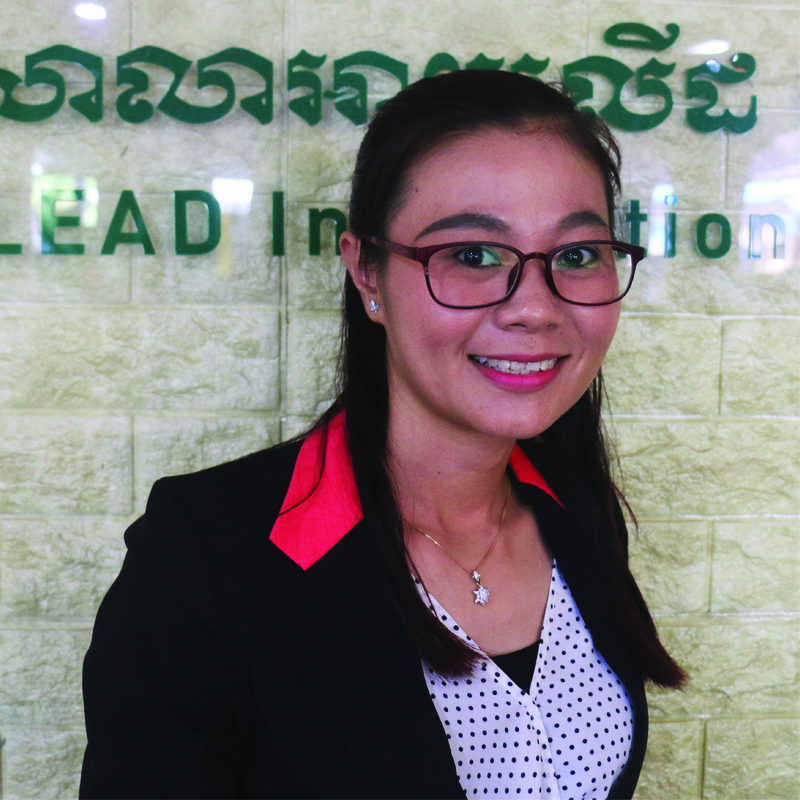 Prior to joining iLEAD, I used to work at Global Art School as Finance and Admin Officer and at the same time as a part time school administrator at Foot Prints International School for 1 years. With ILEAD, I have opportunities to grow my professional skills and share my knowledge and experience with my colleagues. I am happy to be part of iLEAD team.